Professor Matt Sutton, whose work explores the relationships among American religion, culture, and politics, was just named a 2016 Guggenheim Fellow. Sutton is using the fellowship to support work on his current project, a book tentatively titled FDR’s Army of Faith: Religion and Espionage in World War II, which will be published by Basic Books. Lawrence Hatter’s new book, Citizens of Convenience: Empire, Nationhood, and the Northern Border of the American Republic, 1783-1820, is the recipient of the 2016 Walker Cowen Memorial Prize for “an outstanding work of scholarship in eighteenth-century studies” by the University of Virginia Press. Citizens of Convenience will be published in early 2017. A book by Dr. Jen Brown, PhD ’12, titled Trout Culture: How Fly Fishing Forever Changed the Rocky Mountain West, was highlighted in the latest issue of Washington State magazine. Jen grew up in Montana and learned to fly fish on the Beaverhead and Big Hole rivers while in college. She is now an assistant professor of history at Texas A&M University-Corpus Christi. 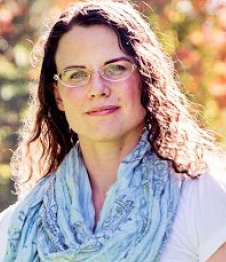 While earning her PhD at WSU, she worked closely with her advisor, Dr. Jeff Sanders. Noriko Kawamura, associate professor, published Emperor Hirohito and the Pacific War (University of Washington Press, 2015). Kawamura used previously unavailable primary sources from Japan in reexamining the role Hirohito played in World War II in the Pacific. She is granted sabbatical leave in 2016-2017 to write a sequel on the role Emperor Hirohito played in the beginning of the Cold War in Asia under U.S. occupation. Professor Marina Tolmacheva has been on sabbatical leave in 2015-2016 for research on “Exploring the Indian Ocean on the Eve of the Portuguese and Ottoman Eras.” Her 2015-2016 publications have appeared in edited collections, festschrifts, and journals in Azerbaijan, Brazil, Poland, Romania, Russia, and Ukraine. Professor Charles Weller has been recognized with the 2016 Critical Literacies Achievement and Success (CLASP) Faculty Award for work with underrepresented students. The Award ceremony was held at the Office for Undergraduate Education Awards Ceremony. Dr. Weller received his award alongside other Department of History awardees, Dr. Lydia Gerber (see below) and Dr. Ken Faunce, instructor of history, who received the Richard G. Law award for Excellence in Undergraduate Teaching from the WSU Office of Undergraduate Education. Karoline “Kaja” Cook is a clinical assistant professor and teaches in the Roots of Contemporary Issues Program. She earned a PhD in history from Princeton University (2008). Her book, Forbidden Crossings: Moriscos and Muslims in Spanish America, 1492-1650, has been published by the University of Pennsylvania Press. Dr. Lydia Gerber, director of WSU’s Asia Program, received the Excellence in Support of Undergraduate Research Award this year in recognition of her support of undergraduate research. The annual awards event allows the Office of Undergraduate Research to recognize the outstanding achievements and contributions of WSU faculty, staff, and students. “I think this book has had a real impact on students,” says WSU history instructor Ken Faunce, who uses Just Mercy in his Roots of Contemporary Issues course. The book, required reading for first-year WSU students and incorporated into various course curricula as this year’s common reading program selection, has sparked numerous discussions among students, faculty, and staff about the troubling incongruities in the corrections system. For the entire article, see the Spring 2016 edition of Washington State Magazine. Dr. Charles Weller earned his Ph.D. from Kazakh National University during eight total years of residence in Central Asia doing nonprofit research and educational work. He is a clinical assistant professor of history at Washington State University and visiting researcher at the Alwaleed Center for Muslim-Christian Understanding (ACMCU) at Georgetown University. His article The Muslims and Their Lies? was featured in the March issue of The Islamic Monthly. Kawamura received the Outstanding Achievement in International Activities Award from the College of Arts and Sciences in spring 2016 for her efforts to build various partnerships and collaborations with institutions in Japan throughout her career at WSU. Dr. Kawamura also received a 2016 College of Arts and Sciences “Faculty Career Achievement” award for Outstanding Achievement in International Activities.